The Greek Section has sent the following report to all its members. We are pleased to inform you that the 2011 SNAME Annual Meeting (AM) and Expo was once again a big success. The SNAME AM is a yearly event that takes place each year in a different US State (one in each of three US coasts) and is massively attended by professionals, companies and students from around the world, representing all aspects of naval architecture, marine engineering and marine sciences. In 2011 it took place in Houston, Texas from November 16-18th and was vastly attended by nearly 1,000 people, including more than 210 students.The event received generous sponsorships from more than 20 companies-organizations, while more than 70 exhibitors decided to promote their products and services at its Expo. During this highly anticipated 3-day event, more than 50 papers were presented, including 6 student papers, while 4 panel sessions were also held. Alongside the technical program, 2-day pre-seminar courses were offered by the major classification societies, while more than 20 Committees held meetings and discussed issues of their area of interest. At the official AM banquet, which was attended by some 800 persons, for the first time in the 120 year history of SNAME the Greek national anthem was sung along the American and the Canadian anthems as a nod to the strong Greek presence at the AM and to the importance of the Greek shipping industry. Our anthem was sung by eight SNAME student members from the National Technical University of Athens (NTUA). A program, tailor-made to the needs of student attendees was also provided alongside the main program. It included the presentation of student papers, a design competition, elections and a job, scholarship and graduate fair. 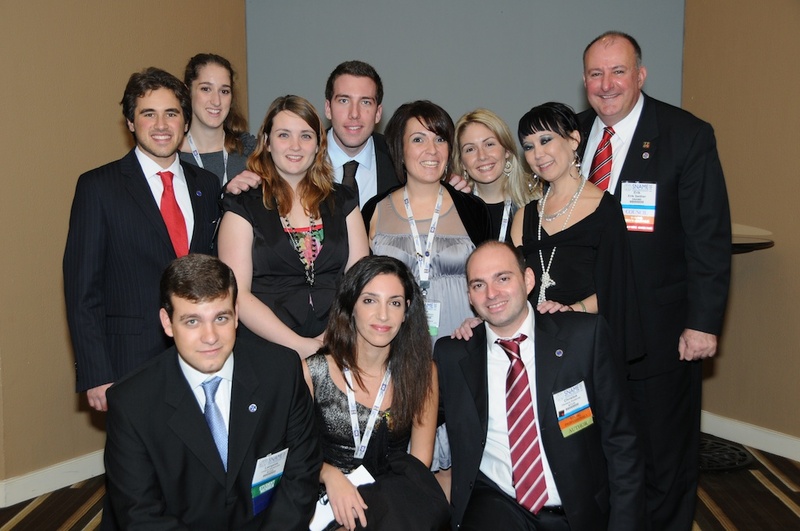 At the 2011 AM the Greek Section stood out both with its populous delegation and its active participation. Three papers in the main technical meetings program were authored, co-authored or presented by three NTUA professors, all members of the Greek Section. Namely Profs A. Papanikolaou, H. Psaraftis and K. Spyrou. This was a unique event in SNAME's long history. In addition, the 12 Greek member delegation, was the most populous ever and consisted of the Section’s Chairman, Mr. Konstantinos Maounis, Prof. Apostolos Papanikolaou from NTUA, the Section’s Executive Secretary, Ms. Sofia Iliogrammenou, and 9 NTUA SNAME student section members, namely: Z. Anastasopoulou, Chairwoman; M. Pytharoulis, Vice-Chairman; E. Lazaratou, Secretary/Treasurer; C. Kontovas, Senior Chairman; L. Nikolopoulos, Student Steering Committee Secretary 2011; A. Gerogiannaki; C. Malikouti; T. Koutsouris; V. Lazaratou. Besides Ms. Iliogrammenou, who worked for the AM, the 9 NTUA students made their presence felt, presenting two papers at the SNAME Papers and Student Papers Track, volunteering to participate in the technical program as Assistant Presiding Officers, being on the winning teams at the Student Design Competition and the sailing Regatta. It is worth mentioning that for the first time since the establishment of the Student Section at NTUA such a big number of students attended the AM and that could be mostly attributed to the generous funds that it managed to receive from four institutions, namely the Stavros Niarchos Foundation, Det Norske Veritas, the SNAME Greek Section and Seanergy Maritime Holdings Corporation. 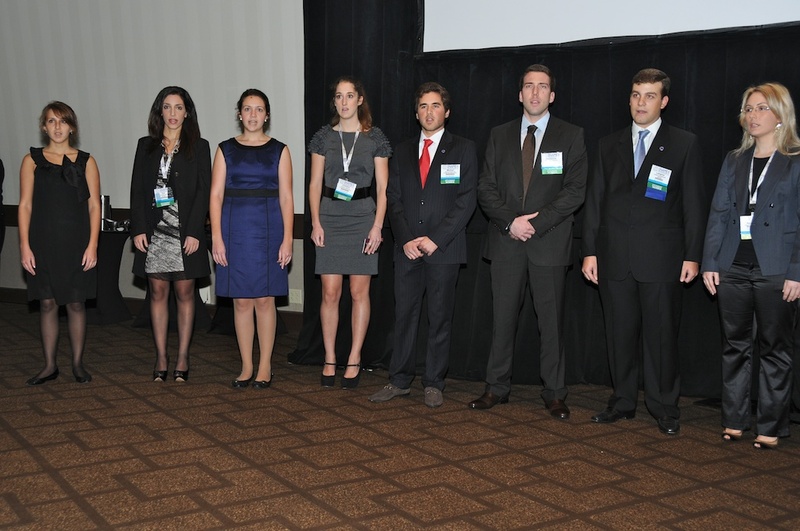 The 2011 AM was concluded with three more successes for the Greek Section and the maritime industry as a whole. Mr. John Angelicoussis received an honorary member certificate for his contribution to the maritime industry and SNAME, Professor Harilaos Psaraftis of NTUA was elected International Vice-President and our Section was named again as a SNAME “Super Section” for 2011, as it continues to satisfy all the standards and requirements of SNAME. According to President Comstock, the 2011 AM turned out to be a ‘‘resounding success’’. However, this could not have happened without your continuous support and therefore, the least we could do is to share these great moments with you. We apologize for the late submittal of this report.